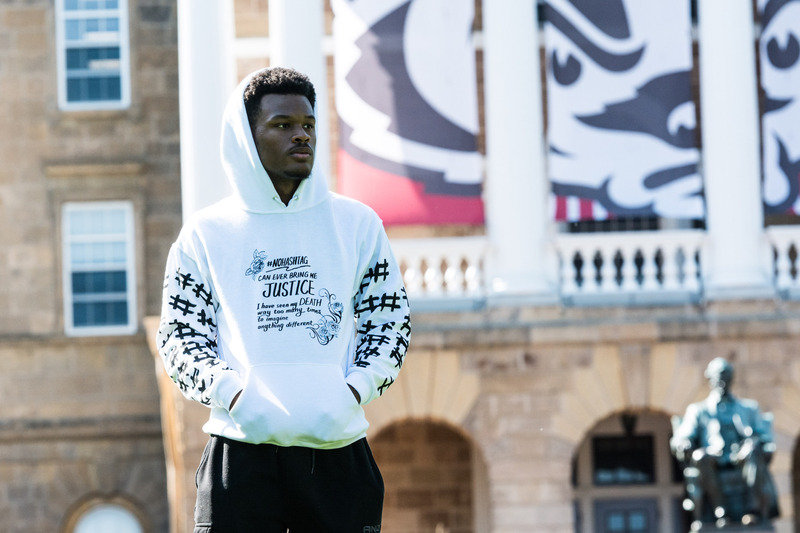 When I was still a child, growing up in the affluent, bleach-white neighborhood of Pewaukee, Wisconsin, my view on the American justice system reflected my surroundings. Crime and punishment played out to me like Saturday morning cartoon: The police were the shining good guys, stopping the vile — nearly always depicted as black — criminals, as I watched from the comfort of my couch, knowing that such events were safely contained to the TV screen. This was not due to the way I was raised at home, in fact, it was in spite of it — these views came from the community I grew up in. 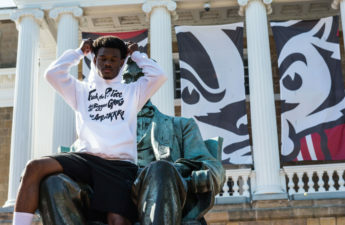 But, blunt anger, similar to the kind displayed by the controversial clothing line released by University of Wisconsin student Eneale Pickett is ultimately unproductive to the cause it works toward. It is a belief that by all rights, should have died with the invention of Google, yet seems to live on as the wretched, barely living offspring of the racism that permeated America less than a generation ago. Statistics like the one below illustrate the incredible incarceration rates of nonwhite Americans versus white Americans. 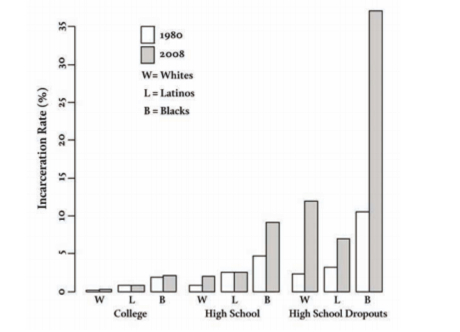 This statistic is a basic one — it illustrates simply one part of a system that is unfairly skewed toward whites. For the sake of brevity, however I will not continue arguing regarding institutional racism, doing so would be unproductive to this piece. 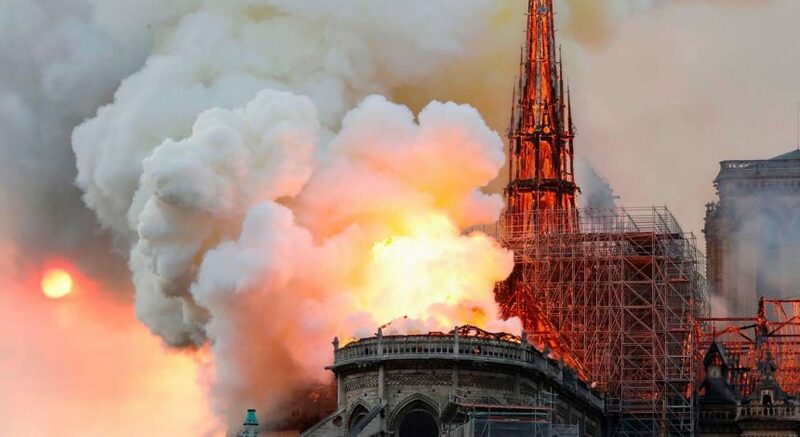 What I seek to assert here is that inflammatory rhetoric attracts the kind of anger and negative attention to a cause that prevents the long-term changes that it seeks from occurring. A very similar and timely example would be the Black Lives Matter movement. The policy goals outlined by the movement are reasonable and difficult to argue against, such as the institution of independent reviews of police actions or the large-scale implementation of police body cams. However, American opinion of the movement is largely negative or ambivalent, with only 43 percent of American’s total supporting it, while experiencing only 60 percent of support among black people. The negative public opinion of the movement is largely created by occasionally inflammatory tactics instead of ignoble goals. Choices such as interrupting a gay pride parade in Toronto or blocking off an entire Milwaukee freeway during rush hour, while uncommon for the movement, created negative media coverage that allowed those who oppose the movement to cultivate negative opinion. The incredibly inflammatory clothing line and ads for it will only achieve the same unhelpful anger that those moments did. Furthermore, the clothing line appears to call for violence against officers. There are many officers that abuse their position, it is true, but there are also many officers that take the job out of necessity or a sense of justice. Reprisal for the actions of the few is irrational and cruel. Even if officers are part of a broken and unjust system, it is not their fault that it is one, it is the fault of entrenched racism and lack of legislative action to correct it. Sending officers into the streets nervous is a recipe for deadly mistakes. Ultimately, this clothing line enforces the same “Saturday morning cartoon” worldview. The world becomes the story of a heroic few standing up against the vile, gluttonous pigs that seek to destroy all they stand for, thus the cycle of division continues. 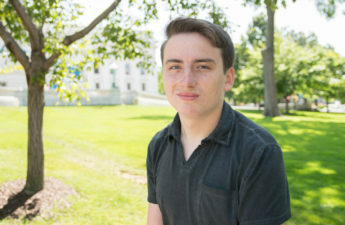 Jeremy Frodl ([email protected]) is a sophomore who is currently undecided.